This Cork Board is a Simple, Elegant Letter Board! This Cork Board Adds the Official Touch to Visitor Areas! 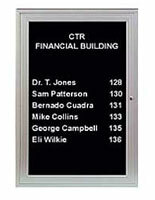 See All Wall Displays at CorkBoards2Go.com! This cork board furnishes a message center for any wall. This cork board is uncomplicated yet elegant therefore it will intermingle with any décor. The hanging gear is provided and already attached to the frame for an easy portrait mounting. 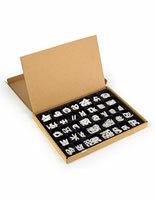 This cork board comes with a set of ¾" Helvetica letters, numbers and symbols. 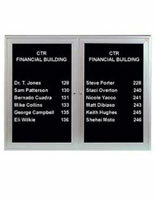 A cork board is an economical and useful method to share your information. This cork board accommodates critical information for everyone to view. 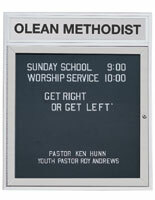 The open design permits for an easy exchange or update of the postings. 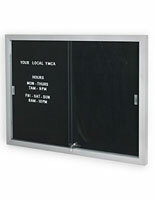 A bulletin board, cork board is the ideal displayer for schedules, directories, specials, and general information. 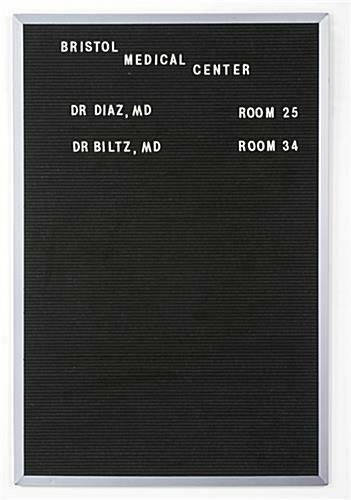 This cork board, including the message board and the countertop board, is extremely popular in restaurants, clubs, and schools. 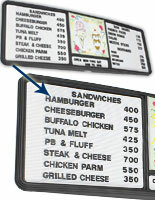 Subject matter are clearly shown caused by the contrast between the white lettering and the black felt board.